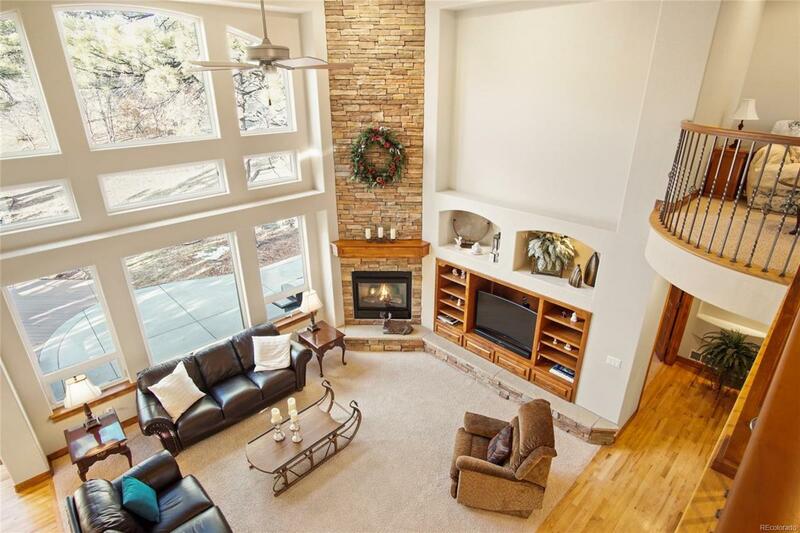 This is an elegant main floor master on a quiet culdesac, backing open space guarded by towering ponderosa pines. 8' Alder doors, intricate iron work and beautiful, satin hardwoods. The kitchen is the perfect gathering place. A dream with Bosch appliances and professional design creating a wonderful work triangle utilizing the expansive slab granite island. 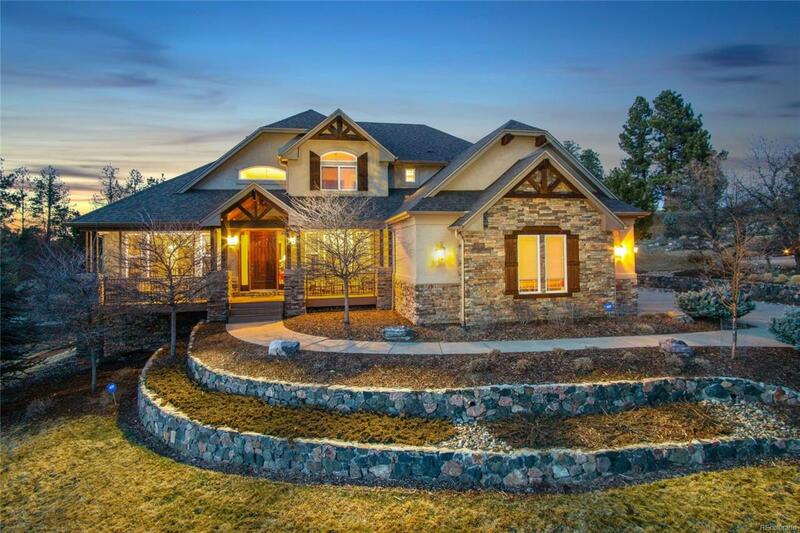 Its open to a vaulted family room with a two story stone fireplace and beautiful high windows looking out to the open space. Spend quality time on the back patio watching the deer make their rounds through the open space. It's the perfect private grilling area! 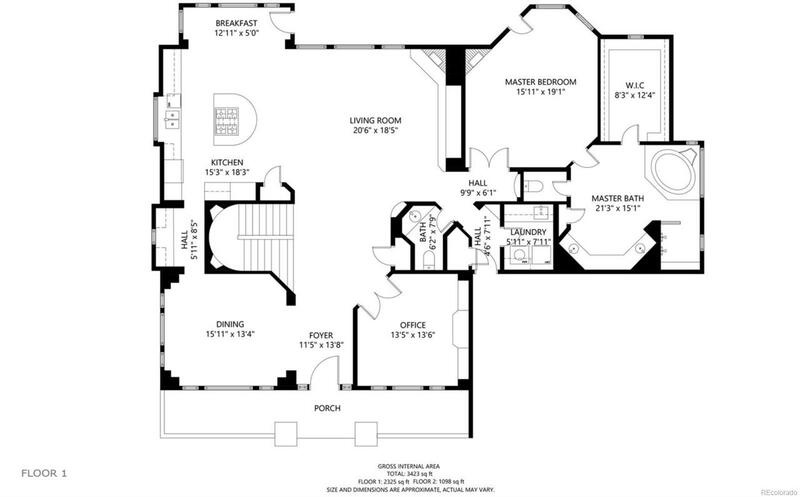 The enormous unfinished basement allows flexibility to create even more living, playing, gaming space. While the side load 3 car garage keeps the curb appeal attractive and makes for a prominent setting above the road. 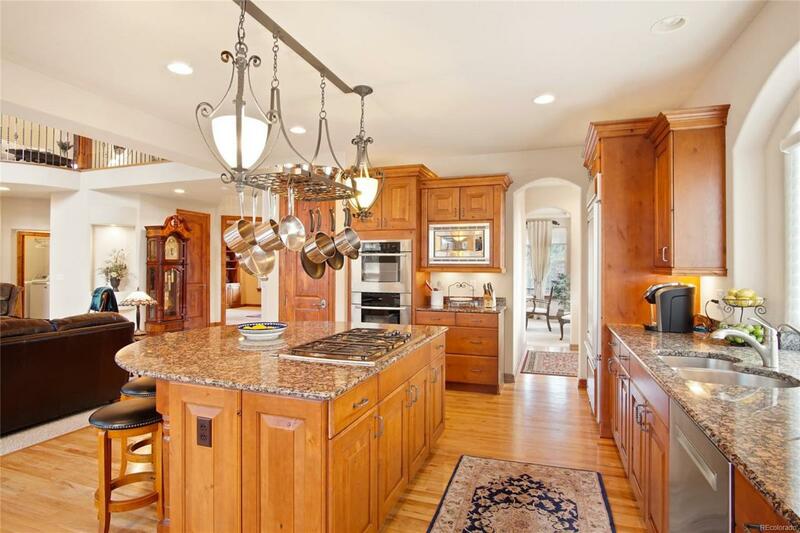 This home is meticulously maintained.